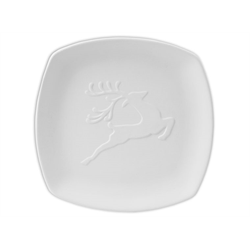 This bisque Reindeer Plate will have your customers prancing with joy! This plate is great for those holiday dinners and for decorations as well! Create a whole dinner set with all of Santa's fleet!